Women's fashion moves at warp speed these days -- and Banana Republic simply can't keep up. The iconic brand is getting crushed by more affordable fast fashion stars like H&M (HMRZF), Zara and Forever 21. Banana Republic is clearly in decline -- its sales plummeted 12% in the last quarter and 15% in just the last month. Trying to explain the bleeding sales to investors, Banana Republic described facing "product acceptance challenges" among female customers. "That means people hate their stuff," laughed Paula Rosenblum, managing partner at retail consultancy RSR Research. The problem is that Banana Republic and other mature retail brands design and order their expensive apparel up to a year in advance. That's just too far slow in today's lightning fast fashion world. If those early bets don't pay off, the results are painful. "They're not nimble enough for the competitive landscape in apparel right now. 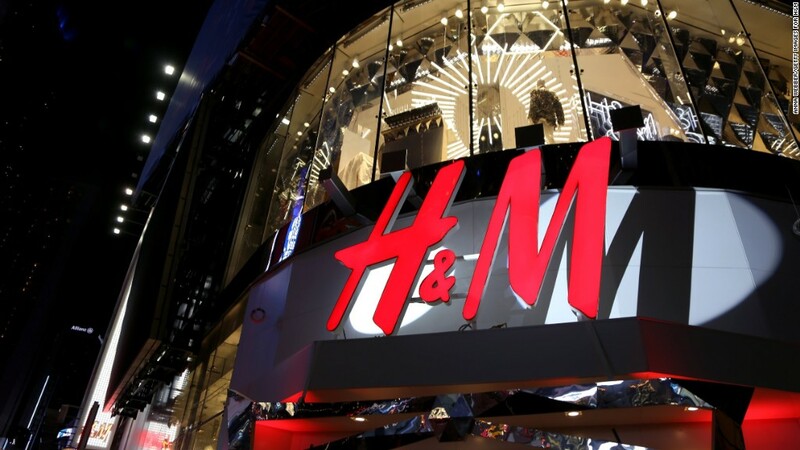 Faster competitors like Zara and H&M are beating them at their own game," said Laura Champine, a retail analyst at Cantor Fitzgerald. The fast fashion industry offers apparel that may not be made with the finest quality materials to last a life-time, but is way cooler and far more affordable. "If I'm a Millennial, why the heck would I spend $165 for a dress at Banana Republic when I could get something for $40 at H&M or Forever 21?" asked Rosenblum. "Fast fashion is pummeling the industry." The sales implosion at Banana Republic is the main reason why shares of Gap (GPS), its parent company, slumped 5% on Tuesday to their lowest level in three-and-a-half years. While Banana Republic sales are crumbling, things aren't much better at the rest of the company. Gap brand sales slumped 4%, while at Old Navy -- the company's bright spot -- sales were up just 2%. Old Navy was dealt a big blow in September when its boss Stefan Larsson jumped ship to rival Ralph Lauren (RL) as CEO. Gap is fighting to hold on to its customers. The company said October was "very promotional," meaning it had to offer deep discounts that eat into profits. That's why Gap warned its third-quarter earnings are likely to trail Wall Street's targets. So are we witnessing the demise of Banana Republic? It's too early to say. Champine points out that Banana Republic still makes up 20% of Gap's revenue, raking in nearly $3 billion in sales. That's not nothing. "There is lots of room for this brand to decline. It's way too early to call the death of Banana Republic. It can have a slow bleed, which is frankly what we've seen for many brands the Gap owns," Champine said. Rosenblum said Banana Republic needs to find a bottom, hire a turnaround expert and cobble together a plan to adjust to the transformed world of female fashion. 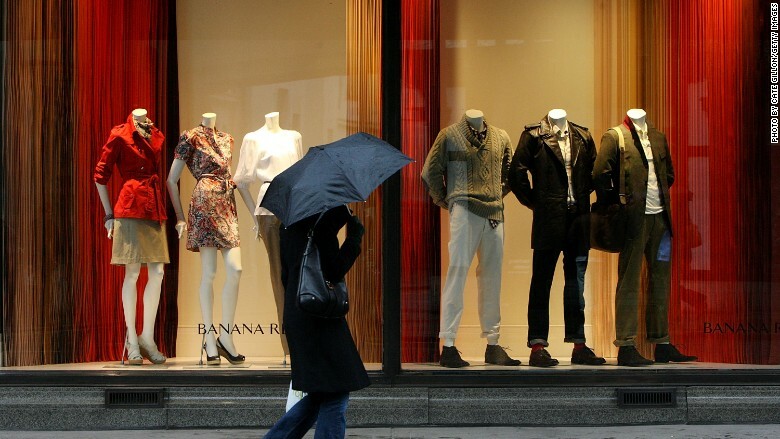 "Fast fashion is a very tough model to beat if you're not joining it," said Rosenblum.